In an age of materialism, language of spirit or spirits seems at best suspect and at worst alien or na ve. When Priscilla Stuckey begins hearing Bear's voice, she is a writer and religious studies professor in her fifties. Though she enjoys communing with trees and birds and the land, she intellectually knows better than to try talking directly with spirit. Yet searching for the truth of her own identity leads her directly toward what she is most skeptical of. As Stuckey opens to her spirit animal helper and his affectionate, jovial wisdom, she begins to realize the slow dawning of faith. Tamed by a Bear shows one person responding to the call of her heart, which is also the call of Earth to all human beings today: to listen to a more-than-human wisdom so people can address the social and environmental crises facing the world. At this moment, when the future of life on Earth as we know it hangs in the balance--threatened by climate change, species extinctions, and extreme economic inequality--the key to survival is found in answering one question: How can humans live more peaceably and sustainably with the rest of nature? 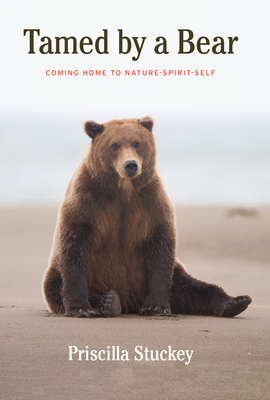 The heart-opening conversations between Bear and Stuckey suggest a reinvigorating of nature-spirituality in everyday life. Their dialogues show an educated, thoughtful person grappling with her skepticism about Earth spirits and gradually saying yes to a call from beyond her intellectual understanding.